This quote is from Chapter 3 of Who We Be, for which Chang describes the first airing (July 8, 1971) of the Coca-Cola commercial, Buy the World. 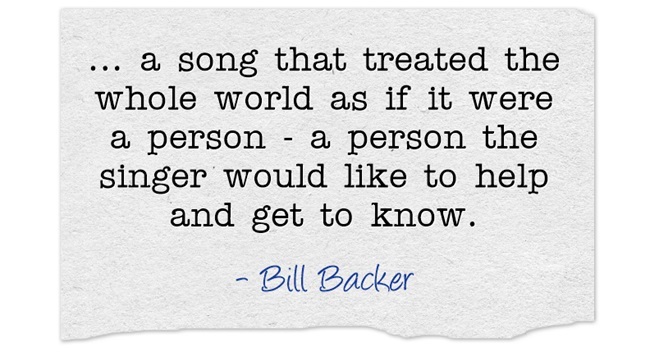 The commercial, if you are not familiar with it, includes the song “I’d Like to Teach the World to Sing” (on YouTube). Not familiar with it? Yes, you are. “That was the basic idea: to see Coke not as it was originally designed to be — a liquid refresher — but as a tiny bit of commonality between all peoples, a universally liked formula that would help to keep them company for a few minutes,” Mr. Backer wrote, according to Coca-Cola’s website. – Yo, What Happened to Peace? Recognizing many of the advertising slogans of Coca-Cola and Pepsi, it was very interesting to learn about the historical context of several of the slogans. I began to wonder about how, and in response to what, the contemporary slogans have been designed to target audiences. Chang provides the landscape of positioning, marketing, branding, and advertising of Coca-Cola and Pepsi, second to Coke, as part of the telling of The Lifestyling of America. In this chapter’s The Real (American) Thing, Chang introduces and discusses social realism and capital realism. Yo, What Happened to Peace? In the chapter’s last section, Yo, What Happened to Peace?, Chang paces through Bill Backer’s inspiration, colleagues, collaborators, creation, and emergence – albeit with interim (and disaster) versions of the filming of the Coca-Cola commercial, Buy the World. * This is sparking ideas in me for colorized improv, environmental communications, and knowledge/ignorance discussions. 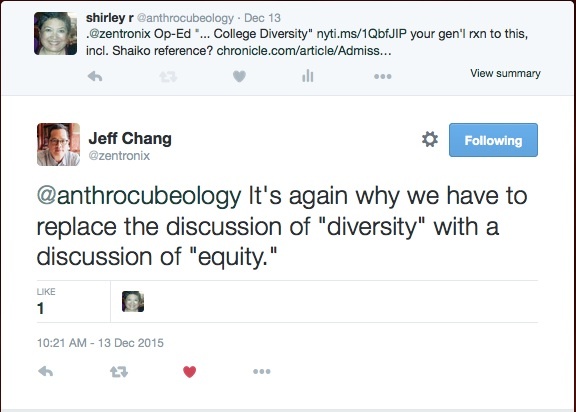 I have not formally met Jeff Chang, having mainly interacted virtually, digitally, and in my imagined (invigorating) conversations that we have. 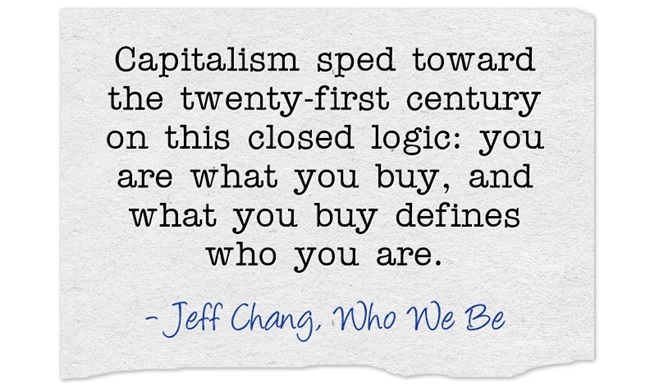 I have read his recent book and am continuing to share quotes and food-for-thought from Chang’s book under the who we be tag. I was hoping for a reply from Jeff Chang, because when I read and re-read the article (as well as the embedded links), I had a reaction that I called cranky pants, where I could not put my finger on what was troubling me or what disconnect I may have had. And in my imagination, we would discuss this. Inspired by a book festival unpanel hosted by Chang – Who We Be: An Un-Panel About Our Colorized Futures, I am continuing to incubate and co-create Colorized Improv – an approach to or philosophy of improvisers and performers to purposely incorporate cultural elements through characters, points of views, narratives, environments, whether it be short or long form. 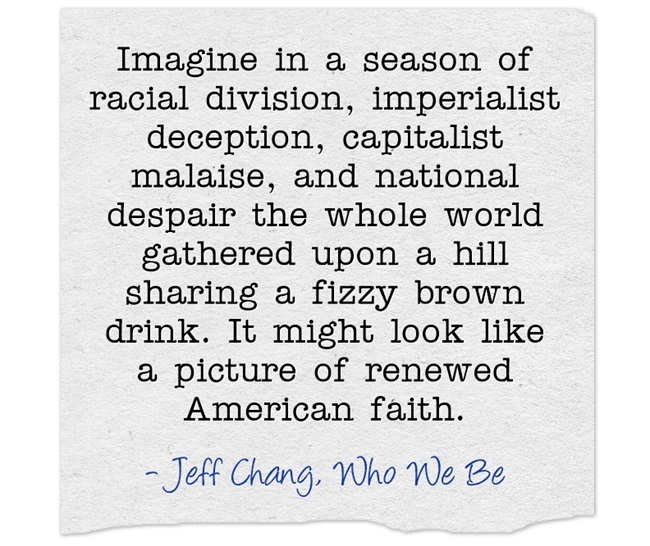 Like my friend Joanne in her Who We Be blog post, I am declaring that I am a Jeff Chang fan. About this post. That said, in this post I share the main article (the NYT Op-Ed), as well as the other article, referenced in my tweet for context of Chang’s replies. 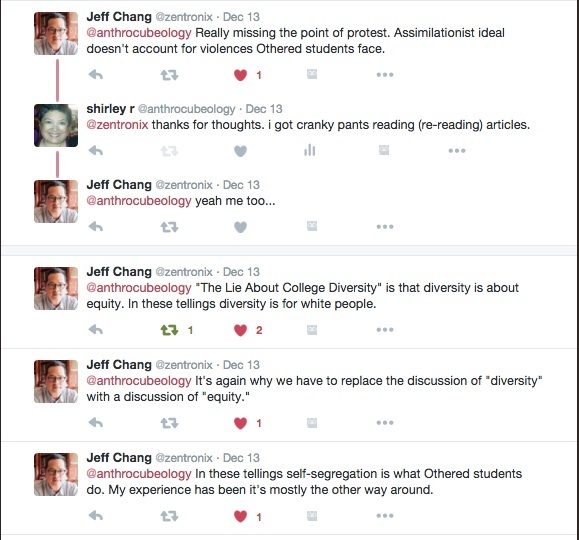 The twitter exchange is over here, so you can read Chang’s response directly. 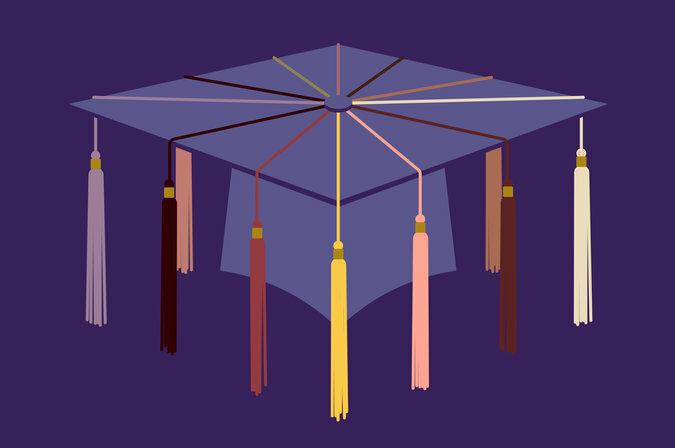 The Supreme Court listened anew last week to arguments about affirmative action in higher education, and we heard yet again about the push by colleges to assemble diverse student bodies. 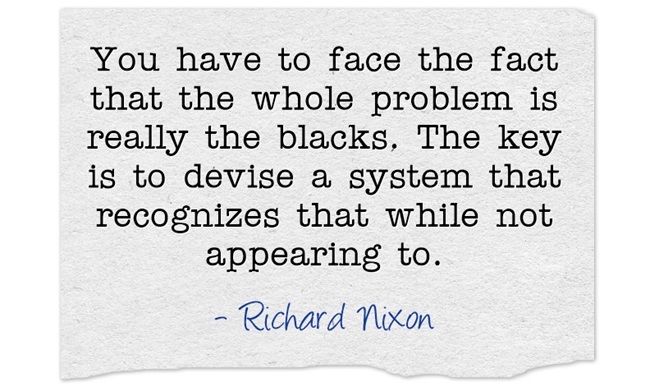 It’s also an incomplete and falsely reassuring one. ONE of the most striking aspects of what we’ve seen and read about recently at an array of colleges, including Yale, Brown and Amherst, is some students’ insistence not just that their viewpoints be acknowledged and respected but that contrary ones be discredited, renounced, purged. Is that where diversity was supposed to lead us? I don’t think so, and I think we’re surrendering an enormous opportunity by not insisting that colleges be more aggressive in countering identity politics, tamping down partisan fury, pulling students further outside of themselves and establishing common ground. “Without such nudges, students will default to sameness,” he concluded. That’s the human way. We’re clannish. Tribal. When I finished Bruni’s article, I re-read his article and the embedded links. And as if I was going to coffee/tea with Jeff Chang, I tweeted Chang and was glad to learn he had cranky pants. What reactions, if any, do you have while or after reading Frank Bruni’s Op-Ed article? Did you have cranky pants? 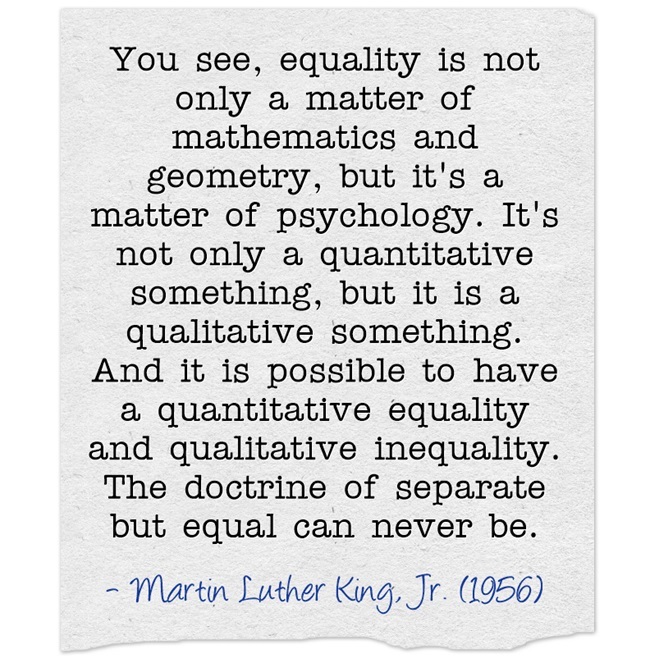 This quote is from Martin Luther King, Jr.’s Desegregation and the Future given at the December 1956 annual luncheon of the National Committee for Rural Schools. museums are rewriting the history of 20th-century art to include black artists, which Chang shared on Facebook. Chapter 2 provides a historical overview around the Civil Rights Movement era – Black artists, politics, (e.g., presidential campaigns throughout the 1960s), racism, Martin Luther King, Jr.’s teachings, and the growing tension among artists and the museum/gallery entities. Throughout Chapter 2, Chang weaves between and among presidential campaigns, black artists’ pursuits, the civil rights movement, Martin Luther King Jr.’s teachings and perspectives, and museums and galleries excluding Black artists’ works. FIRST REACTION: Surprised and happy to see this on the front page of the NYT. BUT ON SECOND THOUGHT: The more I think about this piece the less happy I am with it. The piece makes exactly zero note of any of the organizing that Black artists did to try to force museums and institutions to de-invisibilize Black art from the early 20th century to the 1969 Harlem On My Mind pickets (of which Norman Lewis was a co-organizer) to the Yams Collective withdrawal from the 2014 Whitney Biennial. And there is exactly less than zero note of the relationship between the artists and the activists—many of whom were one and the same—who were living and acting within larger justice and equity movements in their time.